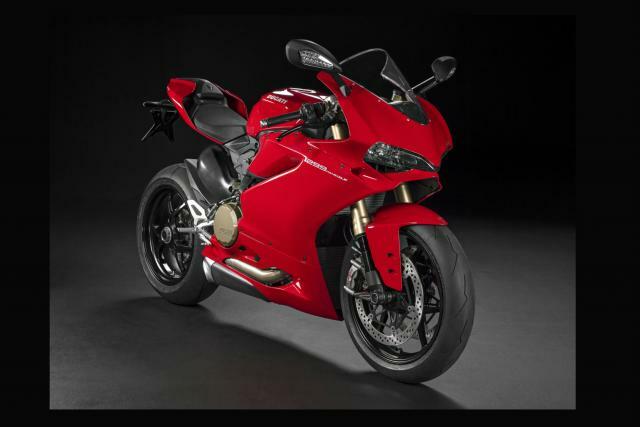 DUCATI has announced prices for its 2015 model line-up. Unveiled at Eicma show in Milan, the base model Panigale 1299 will come in at £16,695, whilst the higher spec S and R versions will cost £20,795 and £28,995 respectively. The 2015 Multistrada, now with variable valve timing, can be had for £12,995. The S models are priced at £15,595 in red and £15,795 in white. Ducati’s new Diavel Titanium, a limited edition Diavel dripping with titanium and carbon fibre parts, will cost £22,995. That’s £8,600 more than the base model, which comes in at £14,395. The new 'Striped' Monsters are priced at £9,495 for the 821 and £13,995 for the 1200S. Prices for the new Scrambler range were announced last month.